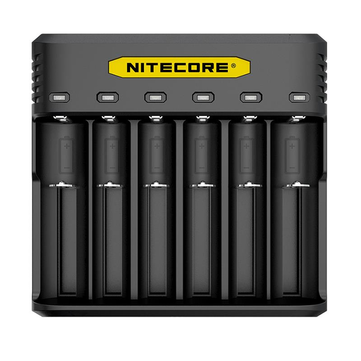 Charges up to 6 batteries simultaneously. Monitors and charges each of the 6 slots independently. Spend less time charging with speeds up to 2A in a single slot. Automatically detects a power level of batteries & selects the appropriate voltage and charging mode. Built-in safety protections to prevent short circuits, overcharging, and improperly inserted batteries. Compact size and lightweight design ideal for travel.